Interested in baseball Fence Guards? What's different about Fence Guard than other fence toppers? 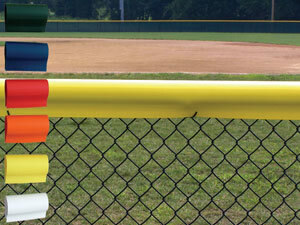 We sell baseball fence guard in Lite, Standard, and Premium grades. Each comes with a limited warranty and is manufactured to the highest quality. This chain link fence cap protects players from injuries that result from exposed chain link fence. It also adds a bit of beauty to any ballpark outfield, track, or playground. The polyethylene cap is specially designed to last for years and is treated for UV resistance. Unlike regular fence topper, Fence Guard is easier and faster to install, as it has a form-fitting teardrop shape that drapes right over the top of the fence. Lite Fence Guard has 0.05" thick walls and comes with a 1-year limited warranty. Standard Fence Guard is 0.07" thick and has a 3-year limited warranty. Premium Fence Guard has 0.10" thick walls and has an amazing 5-year limited warranty. 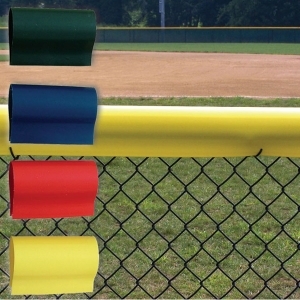 Click one of the pictures above to learn more about the features each of these baseball fence caps offer, including colors, lengths, padding, and ordering information. Copyright (c) 2015 baseballfencecap.com. All rights reserved.